Our First Chamber Harp was delivered in September of 1991. 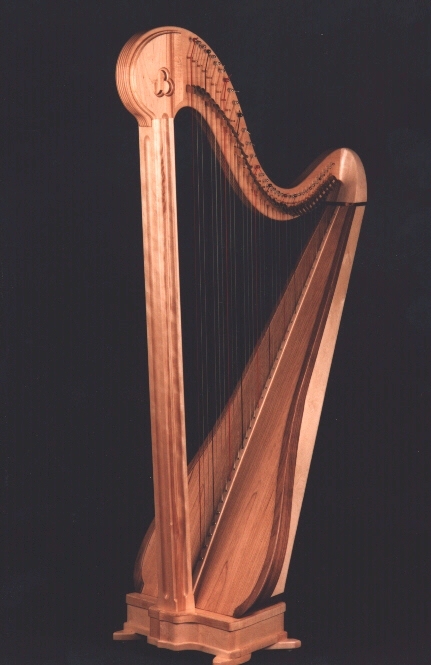 The harp pictured below was one of two that were first made simultaneously. The harp below was delivered in November of 1991. Design changes since that time have been minor, and for the most part cosmetic. On our current harps, for example, the soundboard extensions or “wings” blend more smoothly into the body and a bit higher than on the original instruments. The top of the neck now is also veneered with the hardwood veneer of the finish of choice for the particular instrument.